Yeah, really. An air hockey game show. One of the great things about this recent era of game shows is we’ve had a big crop of incredibly creative formats. From penny drop machine games like Tipping Point to recent bomb-cutting entries like Boom!, we’re seeing some fun outside-the-box ideas. Let’s add air hockey to that list. 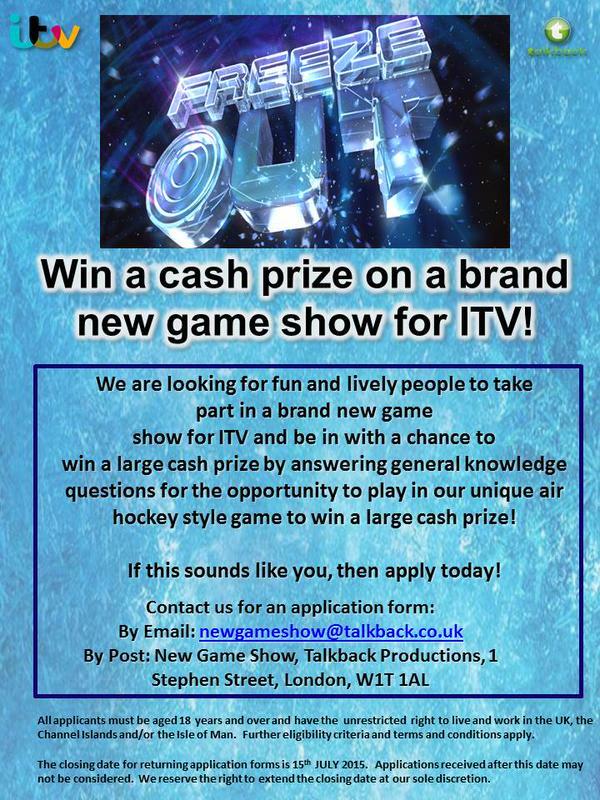 ITV is now casting for a new game show called Freeze Out. From Talkback Productions, the series mixes general knowledge trivia with a large unique air hockey-style game. If you live in the UK and are interested in taking part, click here to email them. Take a look at their ad below. I love seeing unique ideas like this and ITV has done a great job with creative formats…look at Tipping Point for the best example. We’ll keep you posted how this one turns out.